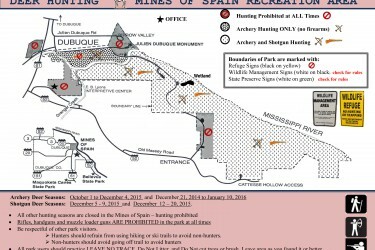 taking a deer at the Mines of Spain. many uses and for all to use and enjoy. will be out in the park for a variety of reasons. but consider the following safety suggestions. locations if hunters are visible.